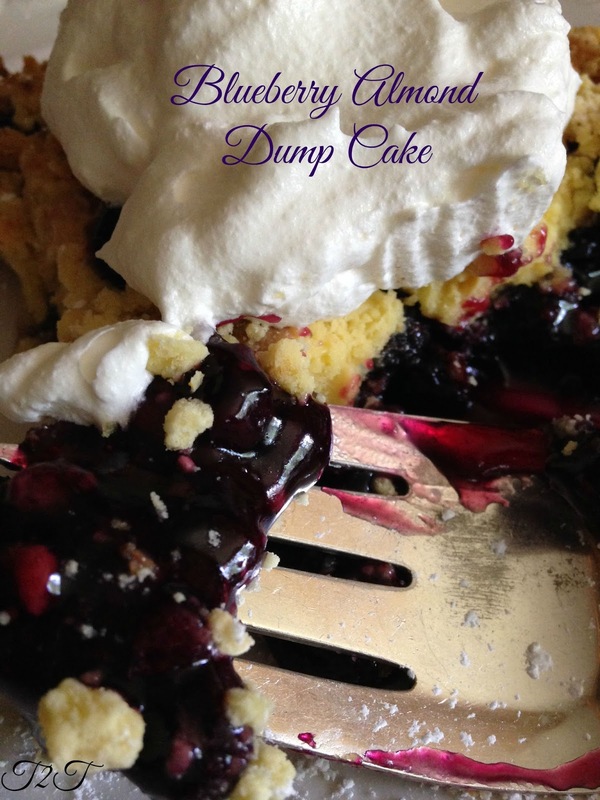 “Dump” Cakes are so easy to make…you can whip up a fantastic cake in less than 10 minutes. No mixing and measuring, just “dump” and “bake” Blueberry Lemon Dump Cake is super delicious. Not a blueberry fan, substitute cherry. 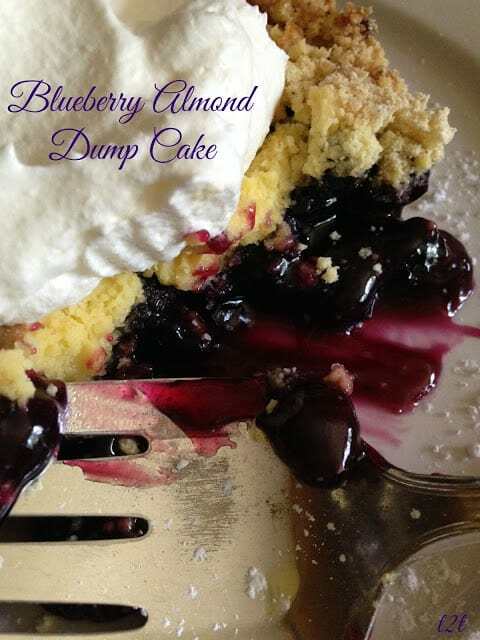 When it comes to dump cakes, the ingredient list is short and sweet…one box packaged cake mix, one or two cans of pie filling and/or fresh or frozen fruit plus a little melted butter. That’s all you’ll need for the makings of a dump cake. How easy is that!?! 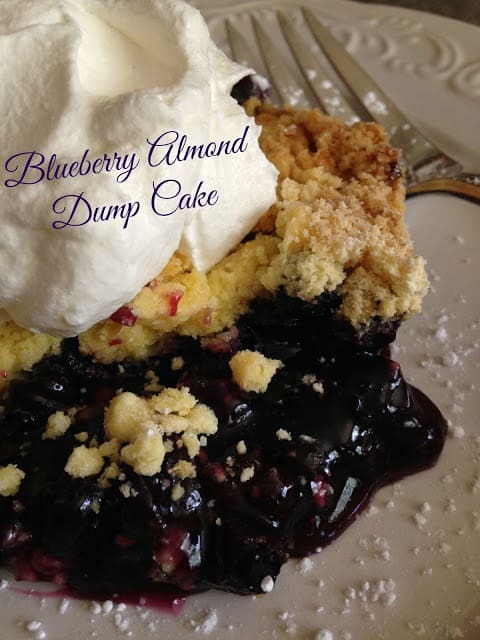 Ahh…Dump Cakes, the possibilities are endless. Preheat oven to 350 º F.
Spray a 11 x 9-inch glass baking dish with non-stick cooking spray. Spread blueberry pie filling in prepared pan, sprinkle top with dry cake mix , sprinkle top with sliced almonds and lemon or white chocolate chips; drizzle melted butter over top, covering cake mix as much as possible. Bake for 40 to 45 minutes or until toothpick inserted into center comes out clean. Cool at least 15 minutes before serving. Serve with whipped topping, optional.